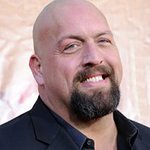 Big Show is an American professional wrestler and actor, currently signed to WWE on the Raw brand. He is an ambassador for Special Olympics. Google trends for "Big Show"
We don't have any videos related to Big Show.